Life in Papua New Guinea rolls on and I am now reaching the point where the honeymoon period has faded and some of the realities of this place are causing me some frustration. Culture Shock is an interesting phenomenon. There seem to be two types. There is the initial shock that comes from being immersed in a culture that is vastly different from one’s home culture. Then there is the second kind, where the frustration builds slowly and reaches a point where one feels unable to cope with so many differences. I am more inclined towards the second kind. I always cope very well with the initial impact of cultural differences. I relish the change and I delight in learning about new cultures. However, over time I start to feel the angst that comes from seeing one hundred things per day that need fixing, with little evidence of them being fixed. One becomes more attuned to the corruption and inefficiency. The lack of basic institutions that serve critical functions in a just society. It’s like a game of Tetris where the bricks just won’t fit together and I can only control two or three of them at most. Nevertheless, I am still a long way from feeling overwhelmed by culture shock. I’m just a little frustrated. I am still having fun here and I am encouraged by the number of areas at work where I have been able to influence outcomes and create a slightly better PNG than the one that I found. 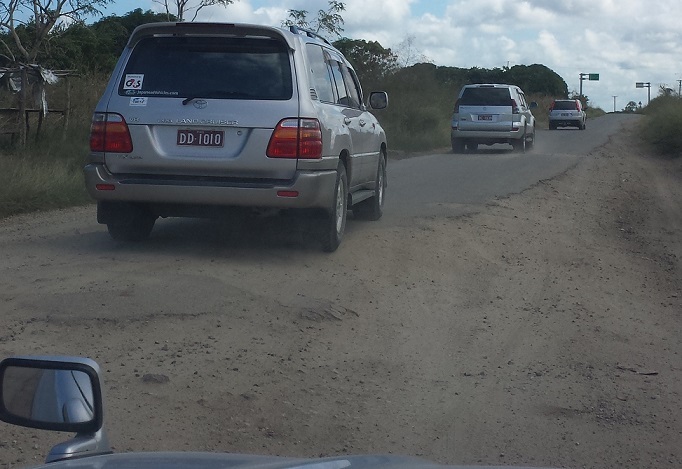 The state of the roads here is indicative of the general level of development and the frustrations encountered in PNG. There is no national highway system. The roads that do exist are poorly maintained so they are frequently full of pot holes or in some cases almost non-existent. A simple example of the daily frustration that one encounters comes from my attempt to buy a healthy lunch yesterday. I had lunch at cafe / bar called Pondo’s. What an ordeal it turned out to be. What I had hoped to order was vegetables and salad. I have some experience with this establishment and I have learned that the way to get my healthy meal is to order two vegetable focaccias without the bread. My guy, Benson, who normally runs the kitchen wasn’t there yesterday, so I had to explain my order from scratch. It felt like a marathon of emotional effort. Firstly, I stood near the counter at the barbecue area waiting to be served (as I done in the past). The chefs were busy so I didn’t interrupt. They saw me, but they didn’t ask what I wanted. They let me wait in front of them for five minutes before I finally realised that they were never going to ask for my order. So I mentioned that I hadn’t ordered yet. They told me that I needed to order inside at the bar. It would be nice if they could have told me that when I arrived, but hey it was a small misunderstanding. Then when I did go inside and attempt to order, my unusual request caused a veritable crisis among the staff. They were scurrying about like ants, checking various tidbits with each other. They must have confirmed my order at least five times. Then they spent five minutes at the cash register trying to figure out how to code it. I tried to ask if they could pass the order on to the kitchen and then figure out the cash register afterwards, but my plea fell on deaf ears. Finally, they took my money and then came back and asked for some more. I waited five more minutes for someone to take my drink order. Eventually, I had to interrupt them to ask for a drink. Then the chef received the order and he came in and confirmed it too. I explained that I wanted two lots of vegetables and two lots of salad on one plate. He nodded and assured me that he understood. To their credit, the meal came out about five minutes after I ordered it – faster than I was expecting. But it was still incorrect. It was on two plates. One with a single stack of vegetables (not two) and the second with the biggest pile of salad I have ever seen and drenched in salad dressing. I said, “Close enough!” and accepted my meal and ate it with relish. 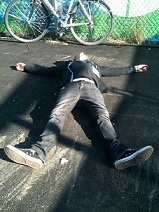 I had worked up quite an appetite by this time. I really need to learn not to stray from the standard meal options in this country. And of course, remember that things do not work here in the same way that they do at home. I have read that the PNG culture is such that it is expected that everyone will defer to the chief of the village. Even if the chief is wrong, it’s not OK to point that out. Instead, one has to wait and maybe the chief will ask for one’s opinion, or the chief will try things his way and work out that it is incorrect and then he’ll try something else. 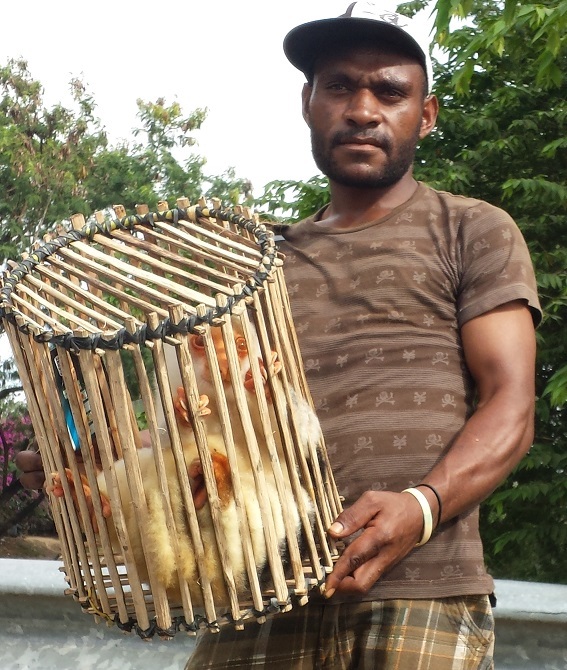 As a result, in many situations Papua New Guineans will often be more passive and less proactive than I am used to. There are exceptions of course. Some people can be surprisingly assertive. But more often, the timid approach is taken. As a very assertive person, I find it extremely frustrating. I have to remember to allow extra time for everyday tasks, and to not expect too much of people. This little gem was another source of frustration this week. I visited a company that has set up in a new building of offices on the other side of town. 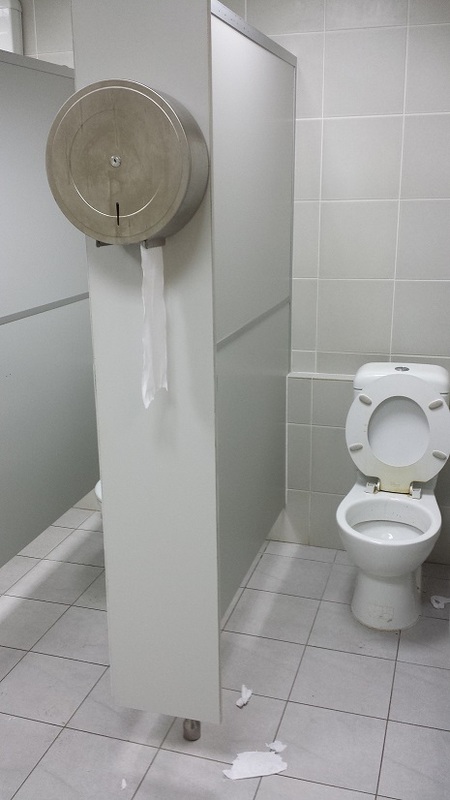 I had to visit the washroom and in doing so I noticed that the toilet paper is on the OUTSIDE of the cubicles. I double checked and sure enough, there is no paper inside the cubicles – just a common roll kept on the outside of the doors. Who knows what MENSA member thought up this idea and why. Maybe it was a cost-cutting measure. I’m guessing it was something along the lines of them only having one dispenser available and they decided that rather than order a second, they would make them share it. Of course, anyone heading into the stall would have to bring paper with them in advance. And rather than risk running out, they would likely take more than they really need, so it is likely to be wasteful in addition to being a unnecessarily difficult. I took another trip to the beach on the weekend. This is the LNG plant that caused the huge economic bubble that this country has enjoyed over the last two or three years. These are the buildings in which the workers stay. The facility has its own airport. Workers from the Philippines and other places are flown in and housed here so that they never need to leave the plant. It’s hard to say whether this big fence is designed to keep them out or in. 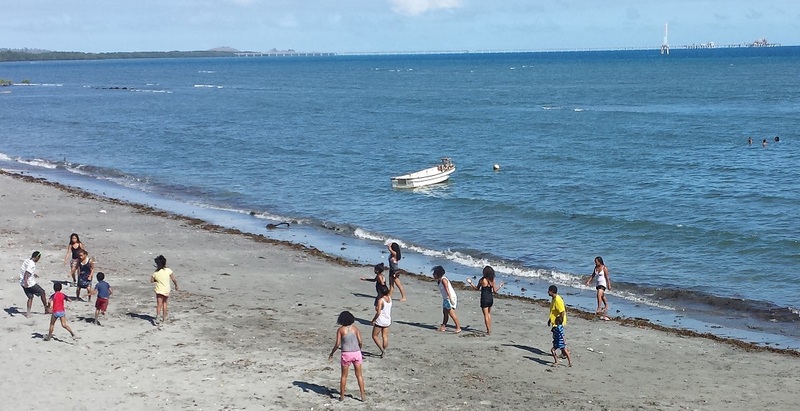 These children were playing football on the beach. In the background, one can see the 2.4km long jetty from the LNG plant out to the deep water where the ships come in. I was pleased to see a spot of beach cricket being played. PNG seems to be mostly entranced by Rugby League. Regular alcohol brands are extremely expensive in PNG. However, there are local alternatives that are a bit cheaper. 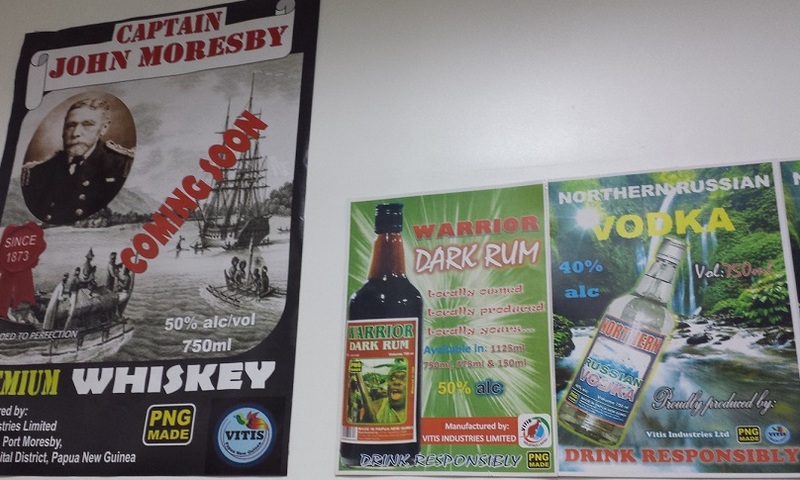 This add for “Warrior Dark Rum” (in the middle of the photo) just looks like trouble – 50% alcohol. As I drove out of the supermarket this week, a chap tried to sell me this animal, which appears to be a type of tree kangaroo. I felt sorry for the poor creature. They only cost $100 so I was tempted to buy it and release it but apparently that is part of the scam. People buy them for release; they are recaptured and re-sold to the next well-intended foreigner. 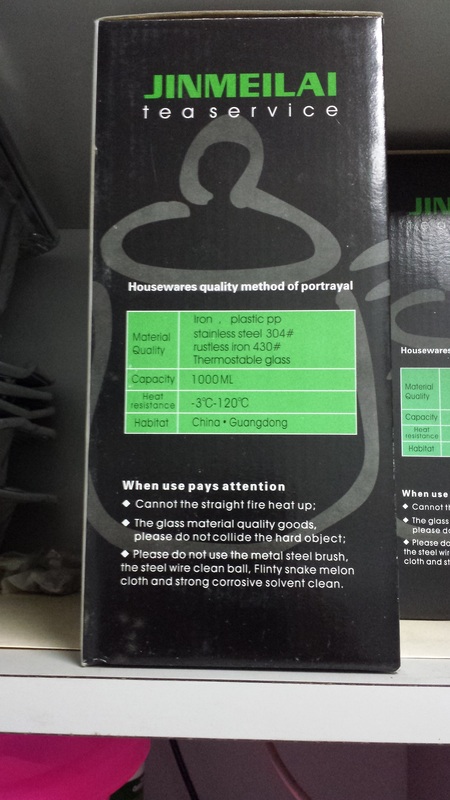 The labelling on this Tea Service packaging made me laugh. I would love to know what a “Flinty Snake Melon” is. Bobby: I’d like an omelet, plain, and a chicken salad sandwich on wheat toast, no mayonnaise, no butter, no lettuce. And a cup of coffee. Well, I must admit it is a bit like that somestimes, except the interactions are quite amiable and no one scatters the glasses on the floor at the end.